When it comes to choosing your room’s decor pieces and furniture – even at home! – scaling is one of the most important aspects. 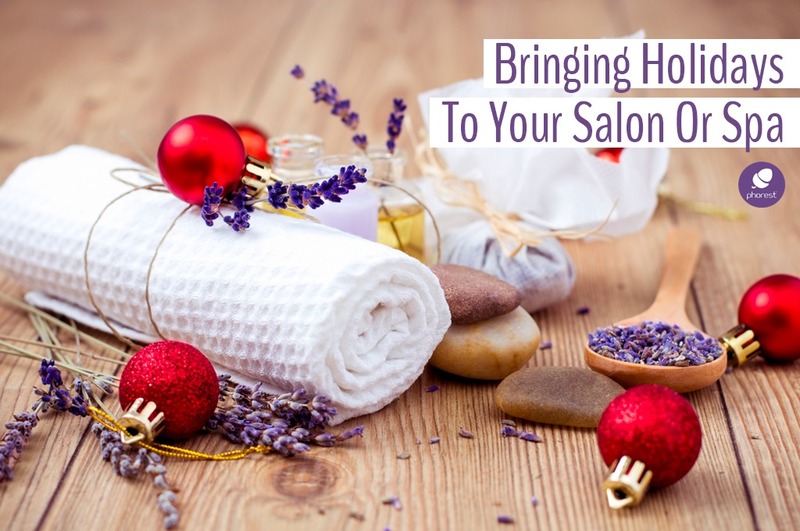 Understanding hair and beauty salon decor aesthetics and playing with widths, heights and weights is key to making your customer feel good from the very moment he or she walks through your door. Every little detail needs to be considered part of your client’s memorable customer service experience. 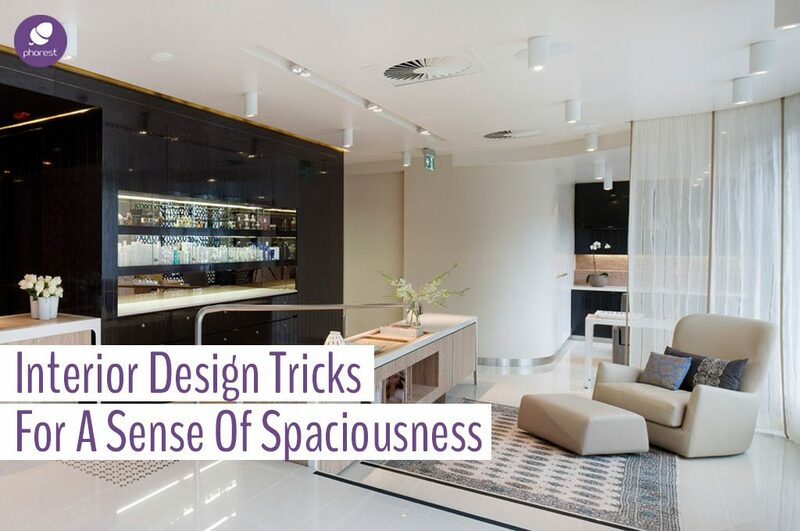 With this in mind, we rounded up 7 hair and beauty salon decor tricks to make your reception area feel more spacious, making your clients instantly feel at ease! 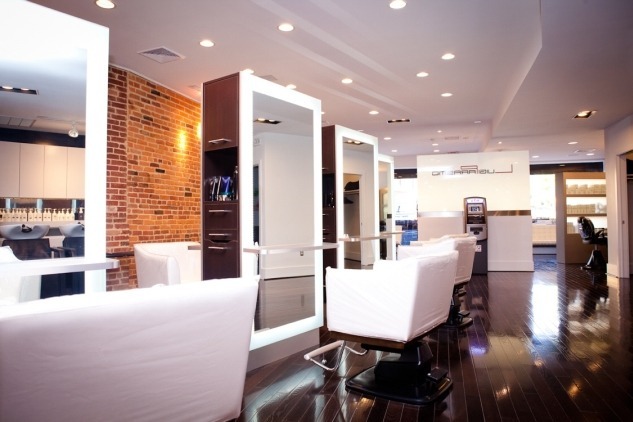 In the past, we’ve highlighted the importance of salon retail display designs and listed ideas for you to feel inspired. But sometimes, it’s not only about what the retail or the treatment rooms look like. In fact, at times, it’s all about the size of space! Working with a little space can be hard as it will often seem crowded and overstuffed. 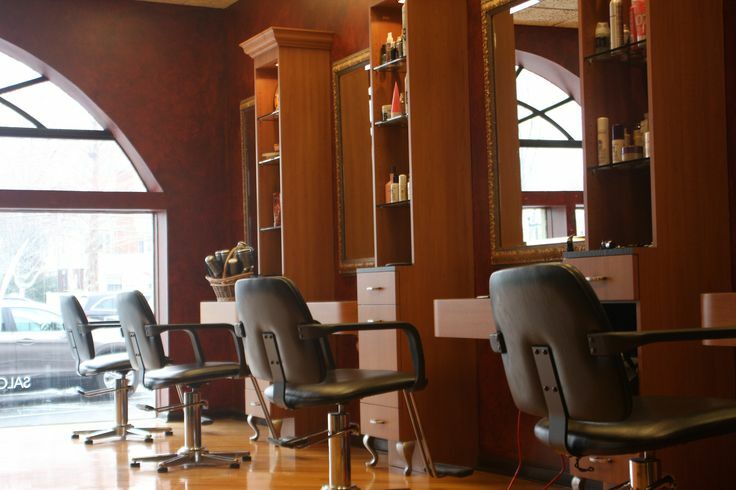 Your salon’s interior decor should take into consideration the type of room you have. Does Your Salon Reception Have A Long Wall? If this is your case, we have two suggestions: choose the right art and carefully select your wall paint colour. When it comes to long walls, the common dilemma is whether you should put up plenty or almost no pieces of art to make it work. 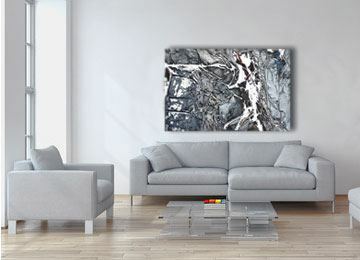 If you are going for a piece of artwork, then the main quesiton is, what type: framed photos, paintings or even posters. Covering up your wall with these can seem like a good idea, but it’s not always the best. 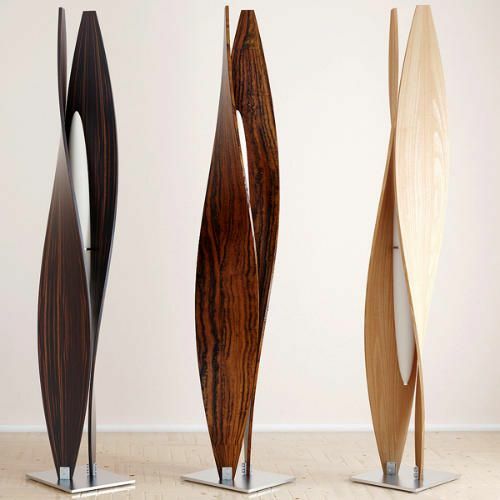 On some occasions (and considering your reception area’s style) a single statement piece is what will work best for you. Also, choosing simple shaped patterns will help you create a sophisticated look that feels full size, but not overwhelmingly charged. Yes, even in a small space. This second salon decor trick is quite simple: the lighter, the better. Choosing a lighter color for your wall helps a room feel more spacious than it is in reality. 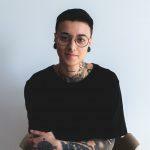 What Are Low Ceilings Hair And Beauty Salon Decor Options? 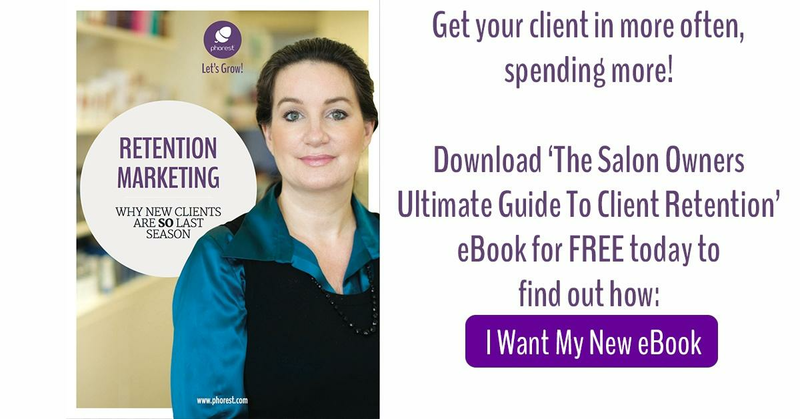 Make your clients look up. By this, I mean use vertical space rather than trying to get significant impact overusing the area. 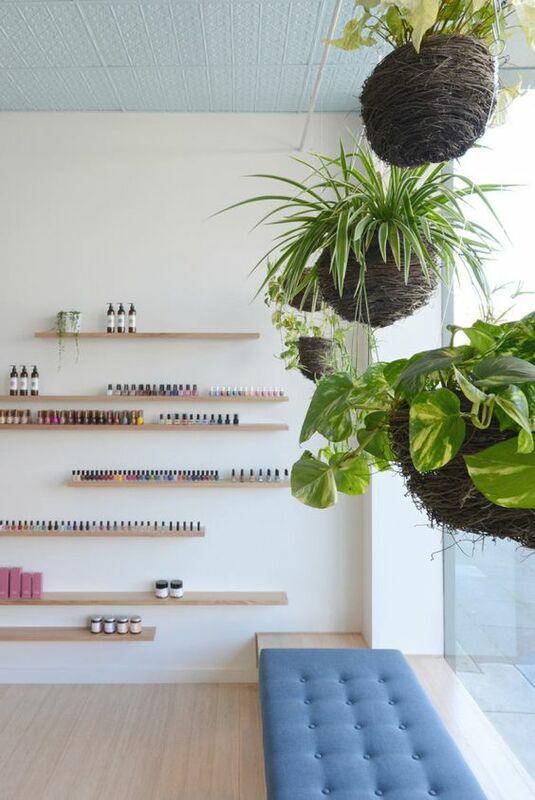 You can do this with plants, bringing a sweet, lively touch to your interior design. Additionally, tall plants – for example, a fiddle-leaf fig – give a sophisticated look to your reception area without interfering with the flow of the space. Most people have a natural tendency to try and shrink everything to make one forget about a low ceiling. Unfortunately, this tactic can make the final look even tighter. Instead, try using lights and lamps. Balance things out with some very tall items and others, close to floor level options too (globe lights on the floor, for example). Often overlooked, an abundance of light (especially natural) will add a sense of spaciousness in your reception. If you don’t get much light from the sun, consider adding some natural light lamps. You can easily find some on eBay. Rather than breaking your reception space into multiple mini-zones, why not embrace the length and fit in one full-size sofa? Just because your space is small doesn’t mean your furniture has to be. Just ensure it doesn’t take up the whole room or flood into other spaces. A long sofa in your narrow reception area can make for an easy journey for clients passing by each other to reach the desk or to sit down and wait for their treatment or service. Let’s take the coffee table as an example. If your reception area is filled with impressive seating space, you might want to look for coffee tables that are visually more subtle, or in an unexpected shape (round, triangular, oval). Ideally, you want a coffee table that isn’t more than an inch lower than the seats of your sofas and chairs. 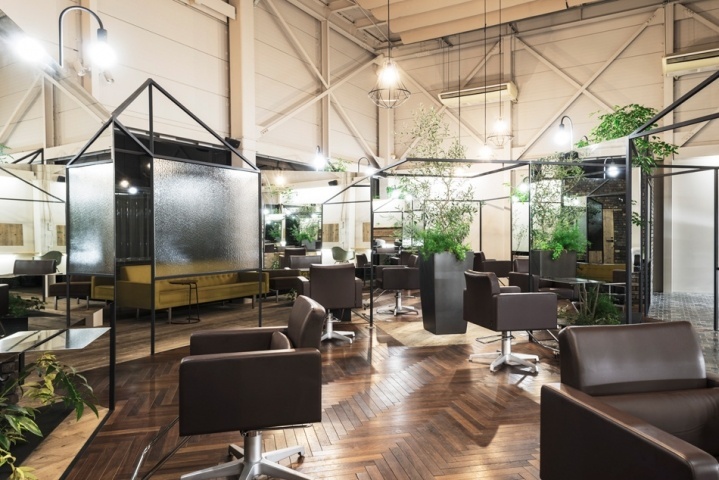 Any accompanying furniture you decide to add to your hair and beauty salon decor should be well thought out and chosen in accordance to your bigger pieces. Of course, depending on your budget, time and actual space, you might not be able to get these all ticked off. But if you do feel like your reception area is a little bit tight, maybe try one of these options. Oh, and if you’re also looking into window display ideas, you can have a look at these.